I won’t be returning to racing next year but I’ll of course be around at the circuit and probably visit a few track days. 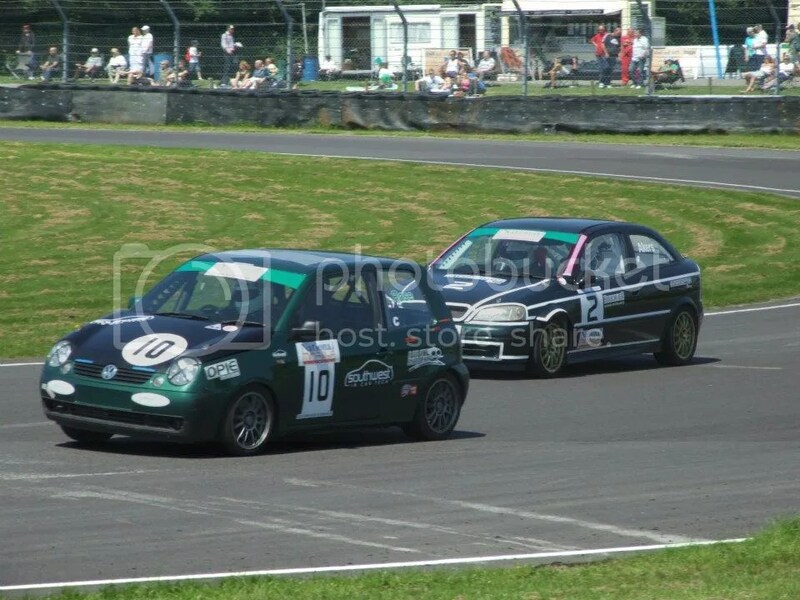 The Lupo has now sold to an ex marshall at Combe who will be returning with it for the 2015 season! Quite a wet Qualy and lots of understeer in Quarry and oversteer in Tower but I got a half decent lap in early on then struggled with a few other cars in the way and managed a final fast lap of 1:36.118 and put it on class pole nearly half a second up on Adrian Slade who would be lining up behind me on the grid in his Green MG ZR. Thankfully the sun came out and dried the track up. I got a brilliant start, the lights went out almost immediately as the last one lit up and I think it caught a few people off guard and I managed to pass a few of the bigger cars in front. Coming into the Esses I saw a large plume of smoke and coming out of the Esses was presented with Mark Wyatt facing the wrong way in his Astra! I followed Tony Dolley in the Orange 206 to the left and stuck behind him. As we completed the first lap the red flags came out and as we got back to the Esses the worst had happened. Arthur Marks in his Suzuki Swift had gone head on with Wyatt’s Astra. Seeing the cars smashed up like that and Arthur sat slouched in his completely destroyed Swift really makes you think about what can happen. Thankfully both drivers are ok and Arthur stayed over night in hospital but was released in the morning, bruised and sore I’m sure, but making a swift recovery. 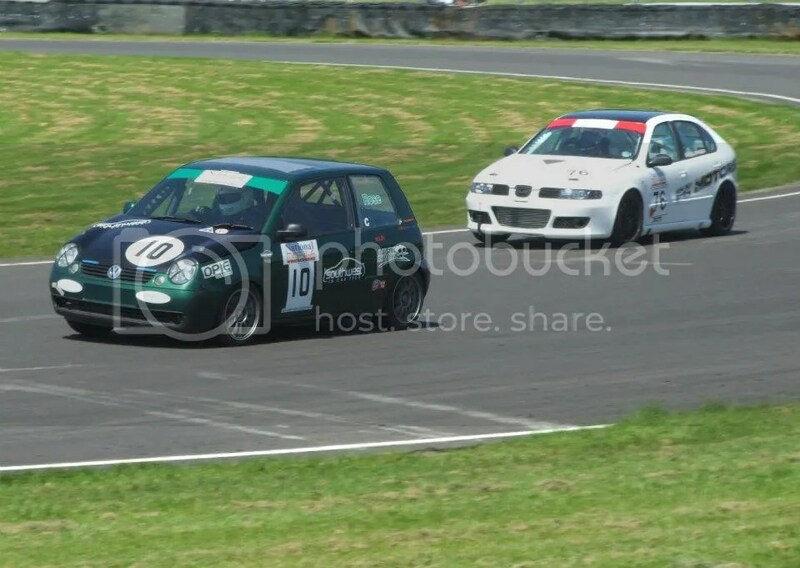 Didn’t get such a good start this time but still in the class lead and I formed up behind Geoff Ryall in his 106. I noticed we pulled a decent gap to the guys behind after the first lap and then managed to pass Geoff into Tower. I was hoping to be able to close up on Rod Apperly in front and have a little race but he was too fast for me 🙂 Rod pulled a gap in front and there was a decent gap behind me for the rest of the race. It was probably the most serene race of the year for me! So Castle Combe Saloon Champion for 2014!! I can’t quite believe it. I think this was probably my best years racing. 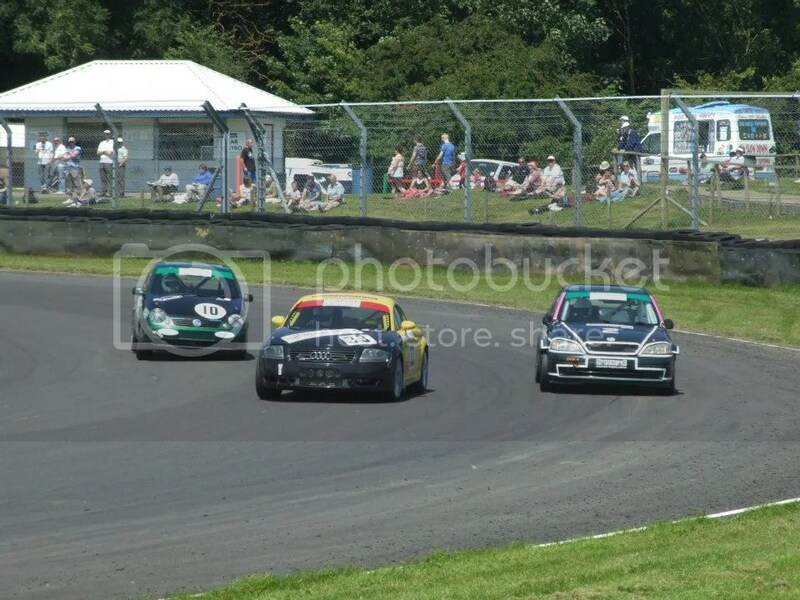 I’ve had some great racing with the guys in my class and there’s been some good battles with others. And best of all its all been clean racing! I’ve had a brilliant year and I can’t thank everyone that’s helped me enough, and of course thank you to all the Marshalls that volunteer their time to allow us to race, the incident on Saturday really drives it home that we couldn’t do it without you. An extra special thank you to my brother Jay for all his help, I wouldn’t have been able to do it all without you!! We had a warm up session in the morning which was good to do after the previous days off road outings, just to make sure everything was holding up. Went to start the race and realised my camera wasn’t working. Must’ve accidentally pressed the power button in the bag and drained the battery 🙁 I was starting from the back as the 2nd race is the previous races finishing order so 26th on the grid (I wasn’t the first to drop out lol) and 7th in class. I immediately took about 7 cars off the line and was up about 12 positions after Quarry and dropped a few before the lap was out, so crossed the line in 16th and 3rd in Class. I was closing in on the battle ahead with Russell Akers in his Astra (in my class) and Paul Ashton and after getting my head down to catch up I put in a new PB of 1:22.788 and caught right up to Russell. We were being lapped at the time and he ran a little wide at Quarry and I managed to get down the inside of him (2nd!!) and put a little gap between us however a back marker then held me up going into the Esses so he was right back on my bumper 🙁 I made a few mistakes as I was too busy watching Russell behind me as he’s much better under braking and a lap later after a mistake at the Esses he managed to pull alongside me going into Tower and outdid me on the brakes. I was gaining on him in most places but under braking I just couldn’t pull it off, going into Camp in the last corner I went to the inside and Russell moved over to defend so I went back to the outside but we were both where we didn’t really want to be and Russell ran a little wide out of camp but managed to keep the position and I finished 0.4 secs behind him! It was a great race for me, especially with a new PB into the 1:22’s and tussling with Russell. All clean racing as well which makes for a good day for all! !